Do you have your FREE display and OP cards? 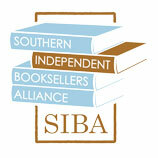 SIBA is a trade organization for independent brick and mortar bookstores in the South. What's in this edition of SIBA eInk? It's time for many things! To renew your membership in SIBA. To nominate titles to the SIBA Book Award. To sign up for World Book Night. To put out the new Okra Picks. To register for GABBS Atlanta. To look for Waldo. To dream of Spain. It is time to renew your membership if you want to be able to take full advantage of SIBA's benefits for the upcoming year. Please take a moment to renew your SIBA membership online and make sure all the contact information is correct. We use this information when we publish directories of SIBA members, such as the list of SIBA stores and STARS authors on Authors Round the South, as well as company information that appears in SIBA's trade show directories. *You may be asked for a password, which you will have to create if you have never logged in before. If you are renewing your membership you have until March 1, 2012 before you lose access to SIBA benefits. Is your favorite southern book of the year on this list? The deadline to nominate books for the 2012 SIBA Book Award is February 14, Valentine's Day. To be eligible, a book must be southern in nature, or by a southern author, or both. It must have been published in 2011 (no reprints, please). And the nomination must come from a SIBA member bookstore or a customer of a SIBA member store. Go ahead and enter your nominations even if you see the book already on the list--we like to get your comments on the books you love. World Book Night: Be a Giver and a Store Sponsor! February 1 is the deadline to be a book giver and store partner for World Book Night! Who better than to pass along the joy of reading on World Book Night, April 23, 2012 than an independent bookstore? We think that at least a few thousand of the 50,000 book givers that day will be booksellers. And it’s easy; just fill out the online form at www.worldbooknight.org , pour some of that passion into your answers, and you’re in. Hey book lovers, be a volunteer book giver on World Book Night, April 23, 2012. Sign up at www.worldbooknight.org by Feb. 1. Want to participate in a million book giveaway to promote reading? Sign up at www.worldbooknight.org by Feb. 1. WBN is also looking for bookstores to act as pick-up locations for the book givers in their communities. Make your store the central hub of a group of people so passionate about books and reading they are willing to spend a night hanging out on street corners pushing books into the hands of complete strangers. ...hmmm, it sounds almost like they would be good indie booksellers! To make your store the center of World Book Night in your area, go to worldbooknight.org and click on the Bookseller tab to fill out the form. Spring Okra Picks: $50 in your cash drawer! Announcing a fresh bushel of Okra Picks from SIBA! The current list of okra picks is here. Click on the cards to find out more information on the title. Some books even have first chapters available for download. SPECIAL OFFER for members who eat their okra! By now, SIBA Bookstores should have received their Okra Pick cards. As a SIBA store member, you can earn $50.00 in SIBA credit each time you do an in-store Okra Picks display and report your sales of Okra Pick titles. The credit can be used for anything SIBA, including Trade Show registration and meal tickets. Like the SIBA Book Awards, the Okra Picks also translate into sales and promotion for SIBA’s core members. It is a great hook with consumers. Two Good Ideas from the ABA! Candlewick Press and the American Booksellers Association are partnering to bring “Find Waldo Local” to Main Street USA this July. Indie booksellers nationwide are invited to host a month-long scavenger hunt for Waldo throughout local businesses. The community-wide event was developed to help spread the Shop Local message. Candlewick Press wanted to “dovetail Waldo’s 25th anniversary celebration with the Shop Local movement by creating an exciting nationwide event to help ABA member bookstores remain strong and vibrant this summer,” said Elise Supovitz, director of field sales for Candlewick Press. Find Waldo Local will start in participating communities on July 1, 2012, with kids and parents setting off on a hunt to find Waldo hidden in 20 local businesses. Waldo spotters will be eligible for prizes, and the event will culminate on July 31 with a grand ceremony held at the bookstore. Candlewick is offering special terms on supporting orders and $50 in additional co-op, and will send a free kit containing everything to launch Find Waldo Local. Kit materials include a sturdy 40-inch Waldo standee, 20 mini Waldo standees, 20 Shop Local window clings, 220 “I Found Waldo” cards, and bag stuffers. Participation is capped at 250 stores. Candlewick will also provide free prizes for participants, including 100 “I Found Waldo” buttons, five copies of Where’s Waldo? The Phenomenal Postcard Book, and one copy of Where’s Waldo? The Complete Collection box set. Complete details are provided in A Find Waldo Local brochure landing at bookstores in the January Red Box mailing and available here . To participate, bookstores must sign up by March 1 at Indiebound.org/findwaldolocal and agree to additional terms listed here. “Candlewick is absolutely thrilled to partner with the ABA on Find Waldo Local,” said Supovitz. “We’re celebrating our 20th anniversary this year and our business model of independence has remained unchanged over the past two decades. We are committed as ever to independent thinking and support of ABA-member independent bookstores.